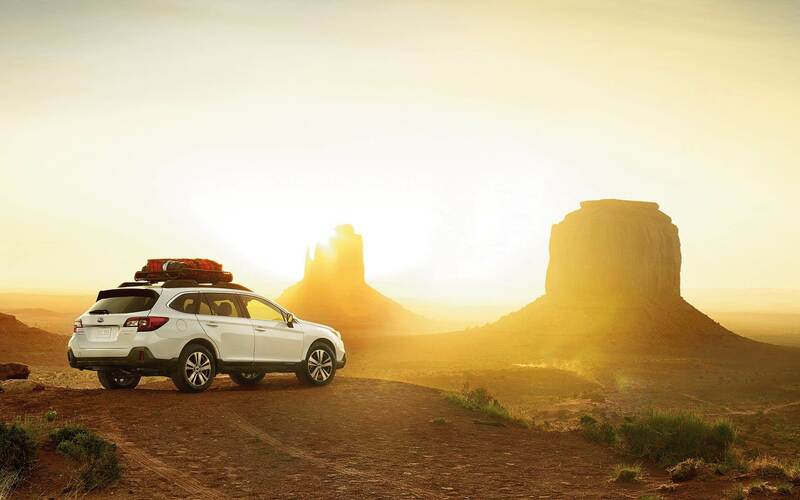 Safe, reliable, and ready for all of life's big adventures, the 2019 Subaru Outback is your go-to midsize SUV. The Subaru Outback is not like other SUVs around with standard Symmetrical All-Wheel Drive, a BOXER engine to deliver the perfect blend of spirited and efficient performance, and an impressive ability to adapt to meet all of your day to day needs. There is a long list of reasons to love the Subaru Outback and we have compiled a list of frequently asked questions to help you discover why the Subaru Outback is the perfect SUV for you. How big are the Subaru Outback tires? The Outback comes with two different wheel sizes. The 2.5i and 2.5i Premium trim levels have 17-inch aluminum-alloy wheels that need 225/65 R17 size tires. The other Outback trim levels are equipped with 18-inch aluminum-alloy wheels with 225/60 R18 tires. What's the best Subaru Outback to buy? Any Subaru Outback is a great Outback to buy! Every model delivers high-quality performance that you can count on for many miles to come. The Outback also has a long list of standard features. Does the Subaru Outback have leather seats? 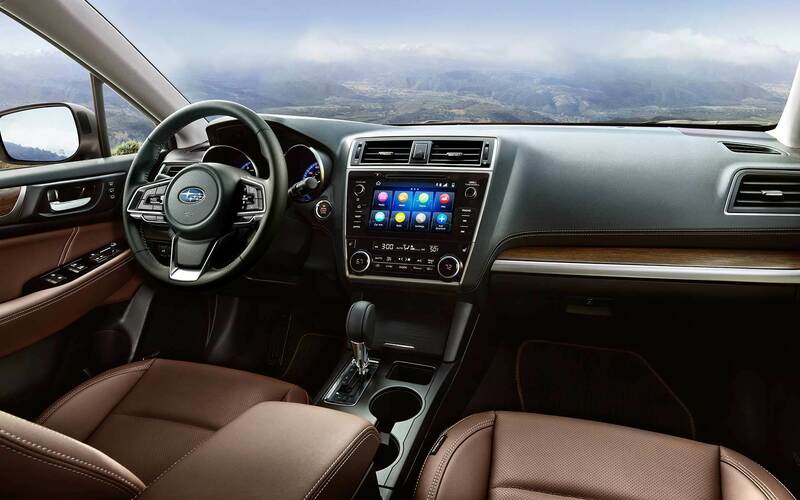 Yes, the 2019 Subaru Outback has leather seats on the 2.5i Limited, 2.5i Touring, 3.6R Limited and 3.6R Touring trim levels. Can the Subaru Outback tow a boat? The Subaru Outback is capable of towing up to 2,700 lbs. with both the 2.5L and 3.6L BOXER engine. Does the Subaru Outback have Apple CarPlay? Yes. Apple CarPlay & Android Auto are both standard features of every 2019 Outback and are part of STARLINK multimedia system with a 6.5-inch touchscreen display. What is Subaru Outback EyeSight? Subaru EyeSight Driver Assist Technology is one of the highest rated driver assist packages on the road and is standard on every 2019 Outback. Subaru EyeSight is the combination of Adaptive Cruise Control, Lane Keep Assist and Sway Warning, Pre-Collision Braking, and Pre-Collision Throttle Management to help prevent or minimize a collision. EyeSight has been proven to reduce rear-end collisions that result in injury by an impressive 85%. How long is the Subaru Outback? The Subaru Outback has a wheelbase of 108.1 inches and is 189.9 inches long from bumper to bumper. How much does the Subaru Outback weigh? The 2019 Subaru Outback's curb weight varies depending on trim level. The base model Outback weighs 3,624 lbs. while the 3.6R Touring model weighs 3,902 lbs. What is the Subaru Outback warranty? The Subaru Outback has a number of smaller warranties all rolled into your new Subaru warranty that covers a variety of components. The warranties that your new Outback comes with include. Is the Subaru Outback good for off roads? With standard Symmetrical All-Wheel Drive and X-Mode with Hill Descent Control the Subaru Outback is ready to take the road less traveled. 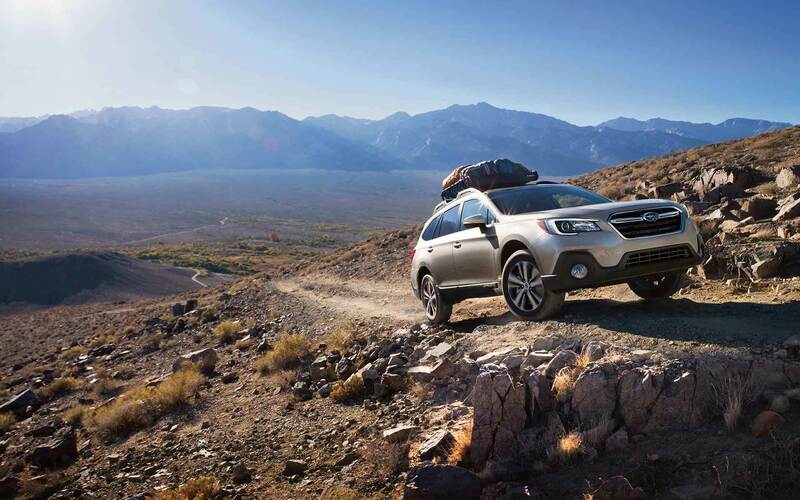 Subaru Symmetrical All-Wheel Drive evenly supplies power to all for wheels for a commanding grip on and off-road. The Symmetrical All-Wheel Drive will also automatically shift power from wheels with less traction to wheels with more traction to maintain unmatched traction and control. X-Mode with Hill Descent Control works in tandem with Symmetrical All-Wheel Drive to optimize engine output and transmission ratios to reduce individual wheel spin on low friction surfaces. How many miles does the Subaru Outback last? Subaru is well-known and highly awarded for being built for the long road ahead and the Subaru Outback is no exception. Many Outback drivers wear their 200,000-mile mark as a badge of honor. Over the past ten years, 97% of all Subaru Outback's sold are still on the road today.